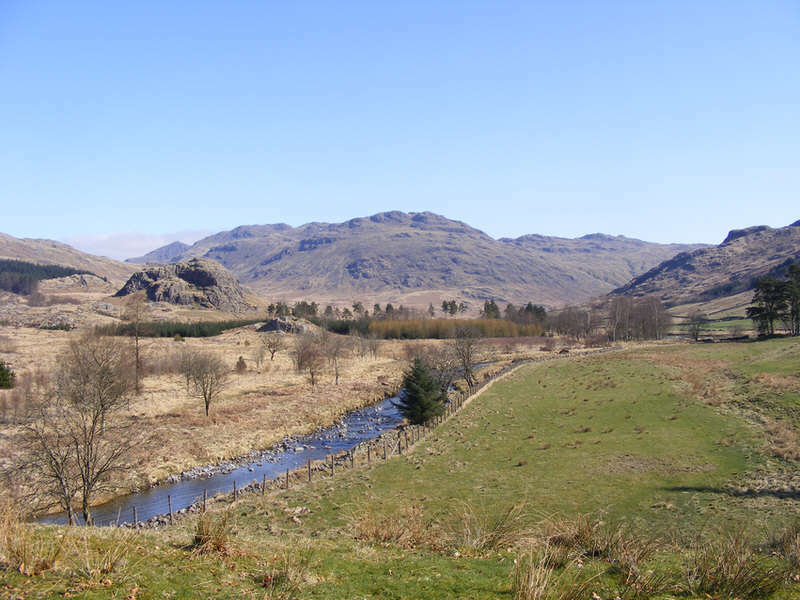 A view up the Duddon Valley from the vicinity of Froth Pot. Castle How is seen in the middle ground, with Ulpha Fell dominating the centre of the skyline. Crinkle Crags is seen just to the left, with the distinctive summit of Bow Fell above Castle How.